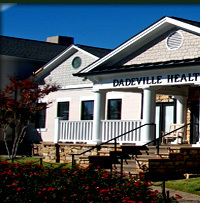 Dadeville Healthcare Center is a state licensed 144 bed skilled nursing facility, providing both long term and short term nursing and rehabilitation services. 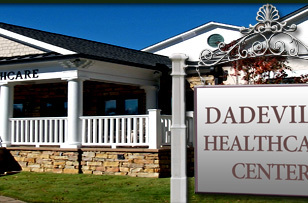 Dadeville Healthcare Center strives to be a home where love, care and personalized service truly make a difference in the comfort of those we serve. Together with the resident, family and physician, we will design a plan of care intended to meet realistic expectations and promote the resident's highest practicable well being. Our staff strives to provide the comfort and security of home as we care for the whole person. We are located at 351 North East Street in Dadeville, AL one block off Hwy 280. The administrative offices are located in historic Tallapoosa County High School Building, erected in 1908, E & A Zoble, Architects. 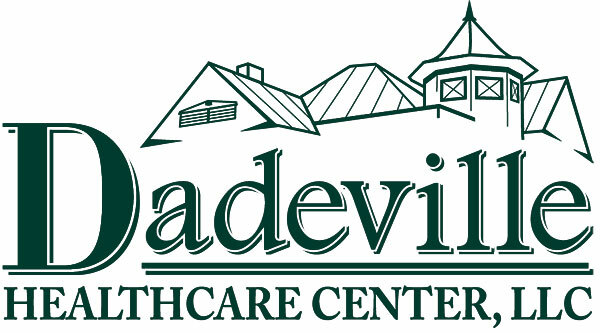 For information regarding placement in Dadeville Healthcare Center, please call 256-825-9244 and ask for one of the following people: Kim Russell, Administrator, or Dianna Duncan, Social Services Director.